In 1920, a woman is pulled out of a German canal. Her body is covered in scars and she won't say how she ended up in the water. When she finally breaks her silence, she claims to be the Russian princess Anastasia. The Russians insist that she and her entire family were executed by a firing squad, and many people believe that she is only looking for money and fame. She is dubbed Anna Anderson and a long investigation begins, as everyone tries to uncover the truth: is she the Princess Anastasia? The story of Anastasia is one that has persisted in our consciousness for many years. There have been movies, books, and even a Broadway musical because we can't resist wondering if one of the Romanovs could have escaped their terrible fate. If you think there's nothing left to this story, think again. Ariel Lawhon throws you right into the action with Anna who confronts the reader, insisting that you have to come to your own conclusion after you hear her story. The action moves in two storylines, as we see Anna in the present navigate the believers who shower her with attention and the detractors who call her a liar. Years earlier, the Princess Anastasia tries to keep up her spirits under house arrest and increasingly dangerous circumstances. I Was Anastasia is historical fiction at its best, which is exactly what readers have come to expect from Ariel Lawhon. If you know your history, you already know the answer to the question of Anna's identity. But as Anna points out, it almost doesn't matter. We want her to be Anastasia, because we want some hope to have come out of a dark, terrible story. We want Anna to be Anastasia because Ariel Lawhon makes both stories so compelling that we can't help wanting to believe. I've always been fascinated by the Romanovs. And this book sounds really good. Thanks for the rec, Lindsey! Me too! 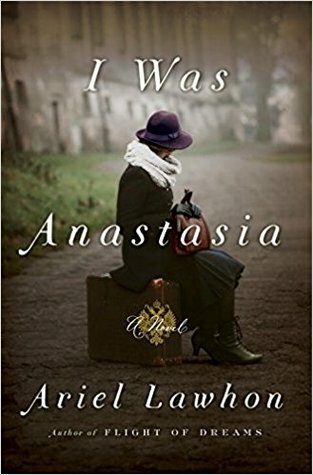 Do you have other Anastasia books you would recommend? I've been looking forward to this one, and have seen a few good reviews - such an interesting story, can't wait to read it! Success just needs hard working and you have to use your sense with the best way. The topic that you select for this purpose is nice and you gave the good suggestions to the people but this https://www.aussiewritingreviews.com/australianessay-review/ website offer me good stuff. This article is so enjoyable and I like it.